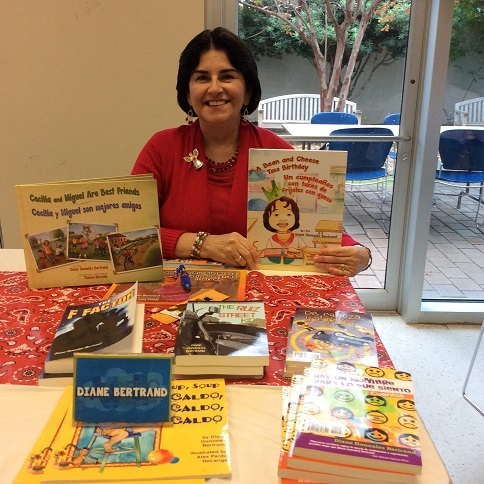 Diane Gonzales Bertrand creates stories inspired by her hometown, San Antonio, Texas, and the family and friends who live there. 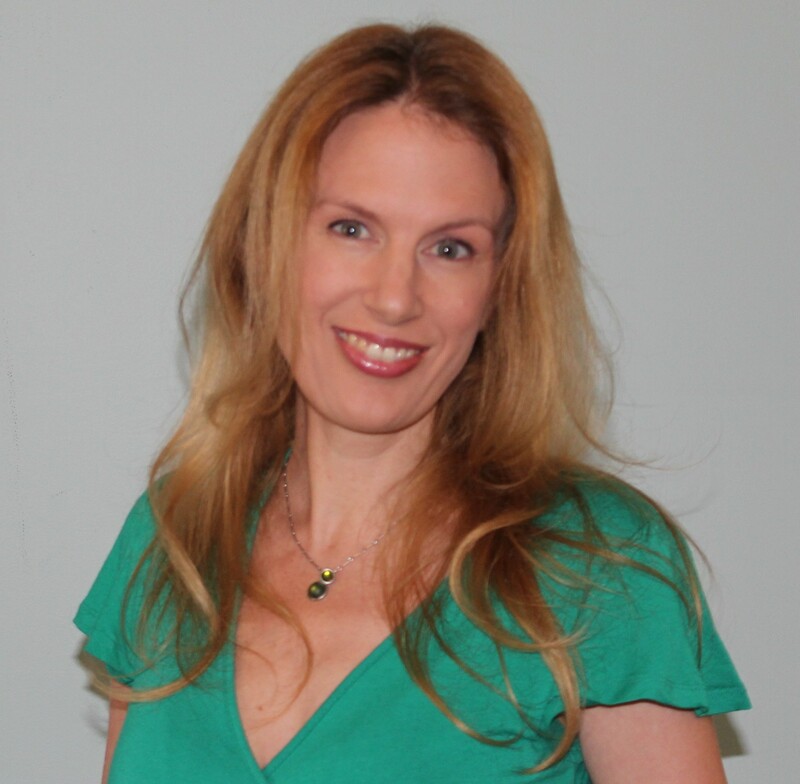 She has been a teacher over thirty years, working in middle grades, high school, and now teaching college students at St. Mary’s University where she is also Writer-in-Residence for the English-Communication Studies Department. 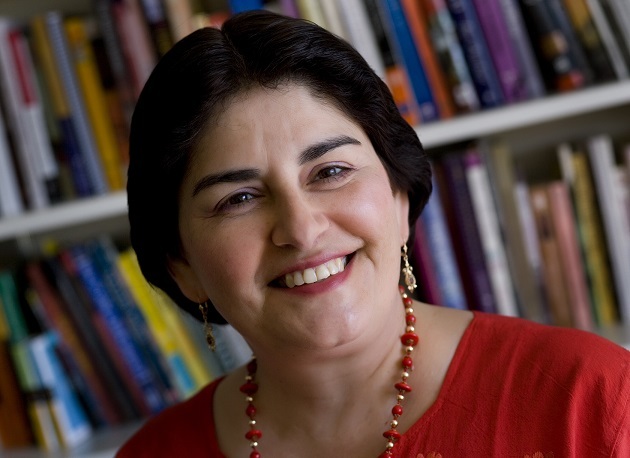 She is the author of twenty-five books for children and teens. 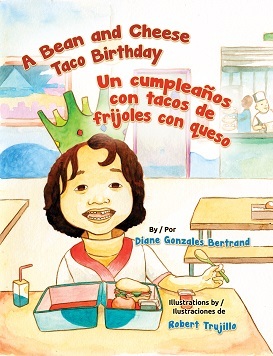 Her latest bilingual title is A Bean and Cheese Taco Birthday (Arte Publico Press, 2015). Her poem “Abuelita’s Kitchen Table” was recently selected to be printed inside San Antonio buses for the 2016 Poetry-on-the-Move campaign during National Poetry Month. I have been writing since I was a little girl. My poems and essays were published in high school and college. In graduate school, I published three romances for a small company; however, a professor encouraged me to pursue children’s literature since I had small children at home. 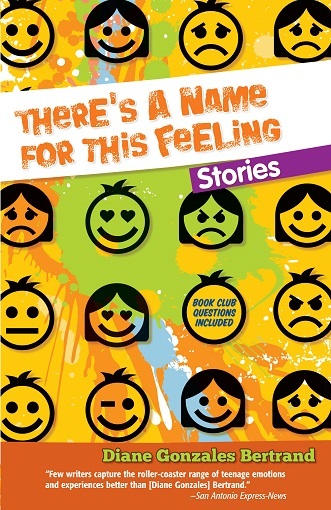 I began teaching creative writing classes and met a woman named Arcadia Lopez who told me Arte Público Press had just published her memoir and wanted to expand into children’s literature. I wrote to the company and described my current book project about a young seamstress working on a dress for a fifteen-year-old, and not only did they choose to publish my novel, Sweet Fifteen, but quickly purchased my first children’s novel, Alicia’s Treasure. I began actively writing for children when I realized how little authentic Latino literature was available for my own two children. A Bean and Cheese Taco Birthday / Un cumpleaños con tacos de frijoles con queso tells the story of two brothers with different expectations for a happy birthday. Little brother Ariel wants his favorite food and a day at the park. While big brother Dario is skeptical, he realizes Ariel’s simple celebration gathers better memories than his own fifth birthday at a noisy pizza spot. I have always been a writer who “steals” time to write. This attitude began when I started writing romances while my children napped. Now I write whenever I am sitting down long enough to compose. I write longhand in a notebook as much as I sit at a computer. I write with my students, I take workshops, and I always have a notebook close by to jot down ideas. I look for images, characters, and possible plots in everything I do, with all the people I meet, and by listening to those around me. I don’t keep a regular schedule because family obligations, teaching at the University, or daily surprises often change a plan for the day. I don’t mind the interruptions, and will take a long walk in the neighborhood to gather my thoughts and incubate new ideas before I sit down and write again. I like to incubate an idea, rolling it around and around until a character’s voice starts appearing in my imagination. 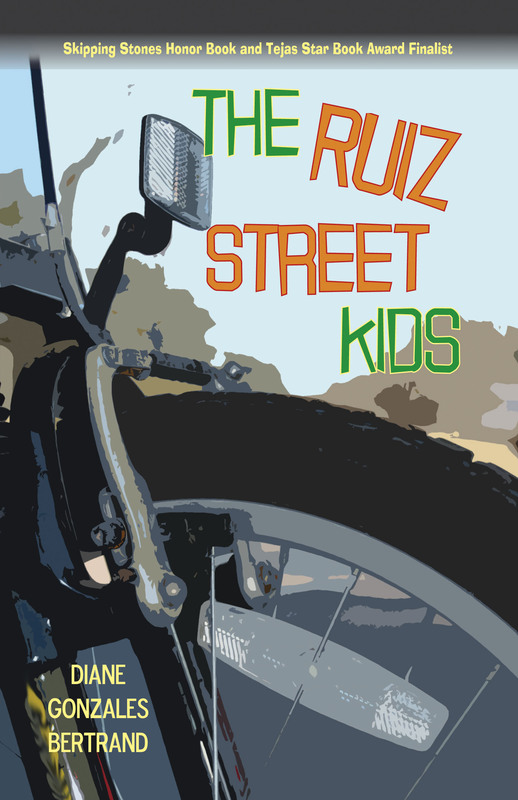 I write for children who need to see their own customs, members of their families, and a variety of friends from different backgrounds in the books they read. 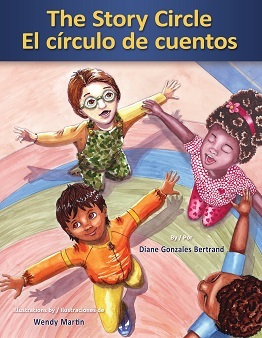 I love spending time with children who see Spanish words in my books and feel validated, that they matter in this world because familiar words and customs are inside a book. The hardest part is editing. I can lose myself in a thesaurus, searching for the best word for a 500-word story. Trying to understand how my words will be translated is challenging since there are many different words (in both languages) that have multiple meanings. Discovering a pace and rhythm for each sentence in a children’s story takes as much time as determining a line break in poetry. While I had so much encouragement to keep writing, I didn’t learn about the business of publishing until I was in my thirties. I wish someone had given me advice about publishing my stories and poems, especially in college. There was no internet when I started, and many avenues for writers exist now that didn’t when I began publishing. I wish more companies would see beyond profit, and trust a passionate author more than celebrities. It is hard to compete with country western singers, politicians, and movie stars who think writing for children should be the next way to boost their careers. Writing for children is a gift I treasure. I take my work seriously, especially in the drafting stages when each word has to be a permanent and significant part of the story. Reading my book to the children is fun, but knowing they see themselves in my stories is the big reward. Lately, I read a variety of women authors, especially those from Asia and India. I love to explore new cultures, historical periods, and settings outside of Texas. Readers should look for Katy Jones, Sally Baker, and Carolyn Dee Flores. These talented Texas ladies are writing wonderful books for children and teens. Thank you, Diane Gonzales Bertrand! 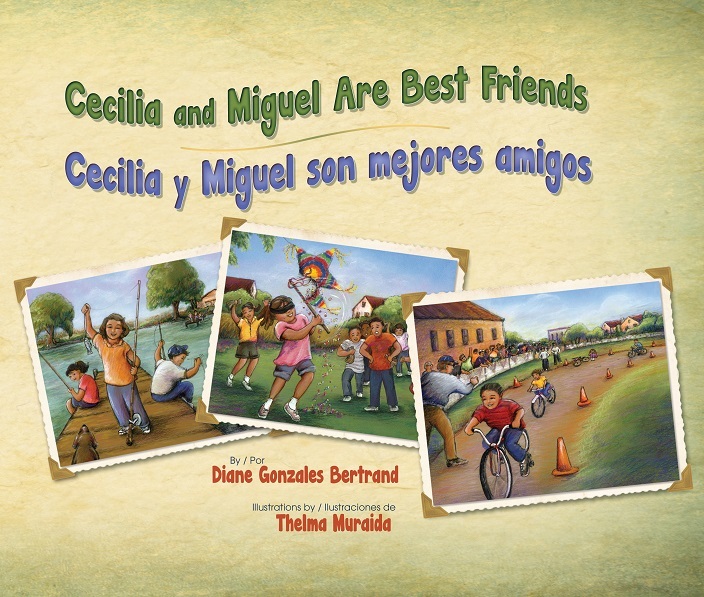 And thank you, Gwendolyn Zepeda and Lupe Ruiz-Flores, for recommending Diane!